As featured in Payments Journal on July 5th, 2018. As the successor to Millennials, Generation Z will represent 40 percent of all consumers by 2020, according to the December 2017 Accenture Report. Understanding the upcoming generation will be critical for retailers to attract shoppers in the next decade and beyond. Gen Z consumers are digitally savvy and have grown up using smartphones with messaging, social networking, music, gaming, and wallet apps – making them much more sophisticated users of technology than their predecessor generations. As the “Technologies Influencing Generation Z Payments Adoption”Report said, “Millennials may be the Internet generation, but Gen Z is the smart-phone generation”. Gen Zs’ options for entertainment are limitless, but their time is not, as they have lower attention spans. They make decisions quickly while sorting through and assessing information like trending pages, most popular content, and peer reviews. They also turn to trusted social media curators to locate the most relevant information. Like Millennials, Gen Z also cares less about traditional advertising, and gravitates strongly towards rewards, deals and offers when it comes to shopping and mobile payments. The upcoming generation also knows how to manage and spend their money digitally. According to the “2017 U.S. Mobile App Report”, 70% of Gen Z consumers have made in-app mobile payments in the past year. They are enjoying better money flow in the current growing economy but prefer to spend from the funds they have. The CEO of PayPal, Dan Schulman told “Mad Money” host Jim Cramer, “They grew up in a generation where there was a recession, and so they want to really take care of their money. They don’t want to go into debt. They think a lot about their financial health, a lot about savings”. Mobile Payments: New generation consumers are not heavy plastic card users; they expect to pay digitally with their mobile device using their bank or cash balance (prepaid) accounts within in-app payments. When they go out for a meal together, they split the check through various apps on their mobile devices. According to the Accenture Report, “About 70 percent of Millennials and GenZers are interested in digital payments”. Retailers will need to accept payments from the leading mobile wallet apps like Venmo that allow consumers to pay with their banking and cash balance accounts. Retailers will also need to accept branded credit, debit and/or prepaid card payments using mobile apps like Apple Pay, Samsung Pay, Google Pay, PayPal, Chase Pay and/or Retailer Pay (e.g., Walmart Pay or Kohl’s Pay) for in-store purchases. Proximity technologies like NFC, QR or bar code, should be used as well for in-app payments. Seamless Shopping Experience: Per the Accenture Report, “Customer experience is becoming the prime differentiating factor”, for Millennial and Gen Z consumers. Retailers will need to offer both a seamless shopping experience where the payment is embedded in the experience. Customers should be able to redeem their loyalty points, rewards, and offers in a single step at checkout. while incorporating all aspects of the shoppers’ journey (location of product, sharing promos/deals, bundling online and in-store purchases) to the final checkout, whether done in a physical store, online, or from home. Contextual Commerce Experience: Since Gen Z members care about experience and have lower attention spans, retailers should make it easier and quick for these consumers to purchase products by allowing them to stay in their current context, whether on a phone, tablet, or PC, and not have to visit the website or physical store of the advertising retailer. Case in point: A Zapbuy Ad for a product can turn into a purchase by a Gen Z consumer with just one click. Considering the upcoming Gen Z alone will represent a whopping 40% of all US consumers by 2020, retailers need to tune up their shop soon in order to attract the growing generation of consumers to their businesses vs losing them to the already tuned-up competitors like Amazon. Mohammad Khan, President & Cofounder of Omnyway the leading provider of digital commerce services for retailers and brands, so that they can quickly deliver seamless shopping experience to their customers. 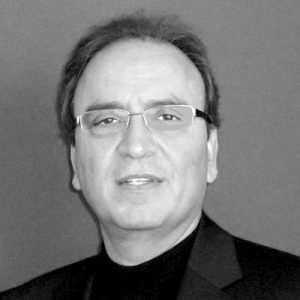 Khan has been recognized as a “Leader” and a “Mover and Shaker” of the electronic payments industry, and has more than 50 patents granted and pending in secured payments and mobile commerce. Next Is it time for retailers to adopt the WeChat Pay model?